This is an easy to moderate double-summit 5 mi. loop. 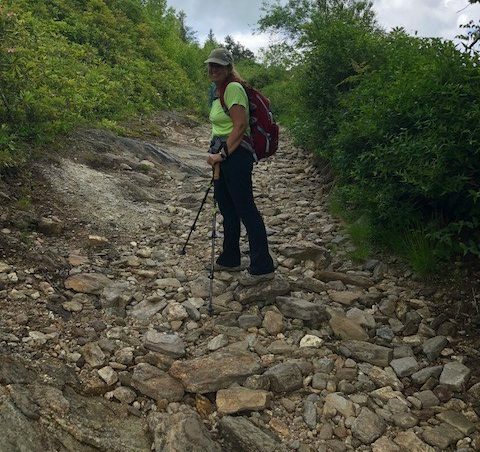 We’ll hike the Art Loeb and Investor Gap trails, submitting Black Balsam Knob and Tennent Mountain! We live in Sylva, so we entered the Blue Ridge between Sylva and Waynesville and headed towards Asheville! 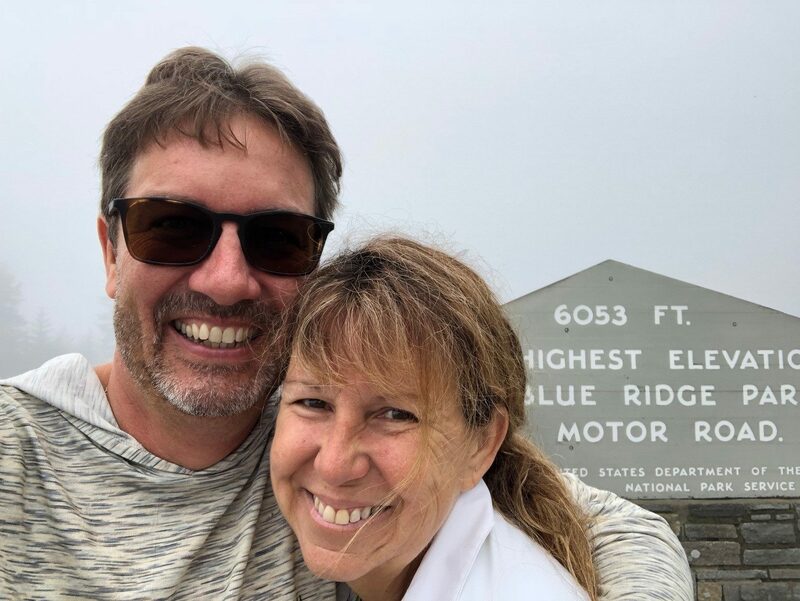 Its a beautiful drive this time of the year and (of course) we stopped at the highest point on the blue ridge for a selfy! ad.Either way you’ll need to walk this small distance on the road in the beginning or at the end. 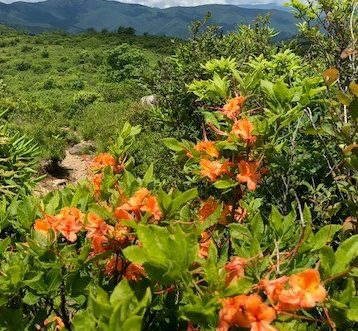 I recommend parking at the closest end of the parking lot to the blue ridge and walking in the morning to the trail head! 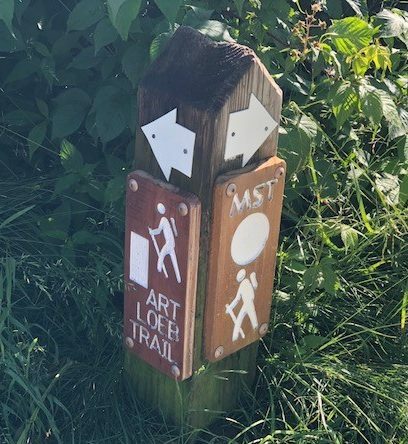 a small sign indicating the union of the Mountain to Sea Trail and the Art Loeb trails – head left on the Art Loeb Trail today. Righ off the bat the trail winds thru dense bushes and the shade of the balsam firs. Since we are at a very high altitude, the atmosphere’s crisp, and the temperature is cool – even on a hot summer day! As you exit the tree cover our slow climb begins as we approach the Black Balsam summit. As we climb the views get better and better. 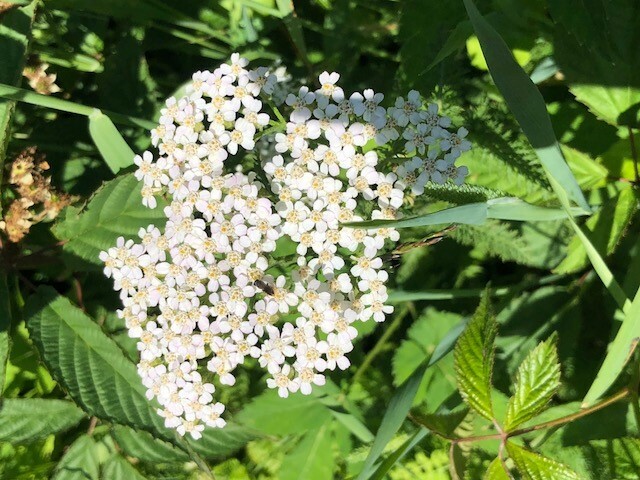 The higher we go, the more beautiful and unique the flowers become. lsam Summit at about 3/4ths of a mile. Notice the layers of mountains in every direction. 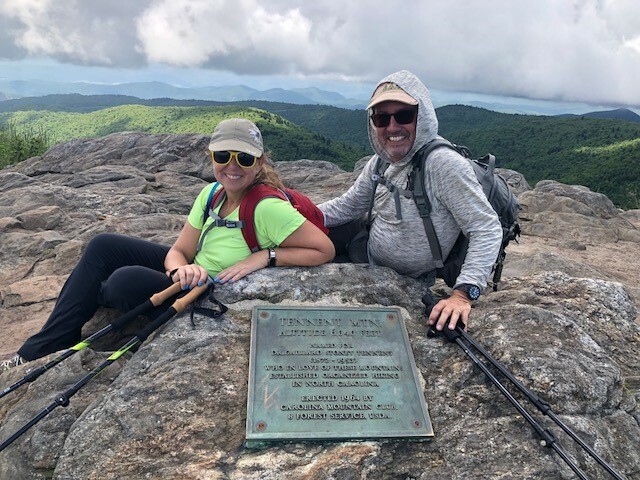 There once was a plaque on a big stone near the summit – if you search you’ll see the square imprint of where it was… This was a great spot to take in the 360 degree views! 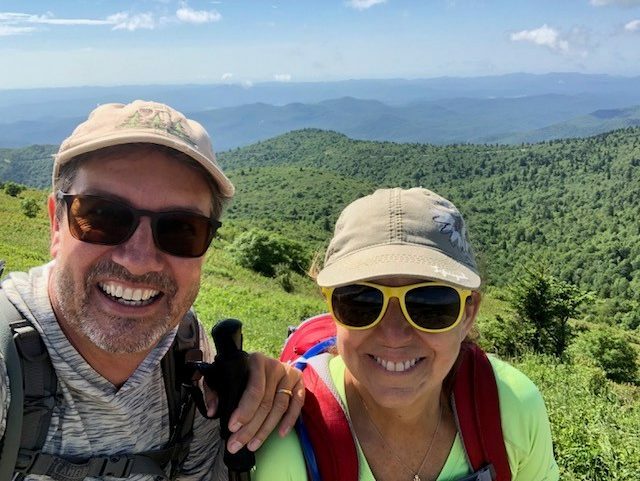 After some time enjoying the views it was time to crest the top and head off the rocky top and follow the Art Loeb Trail down from the Black Balsam Knob Summit. 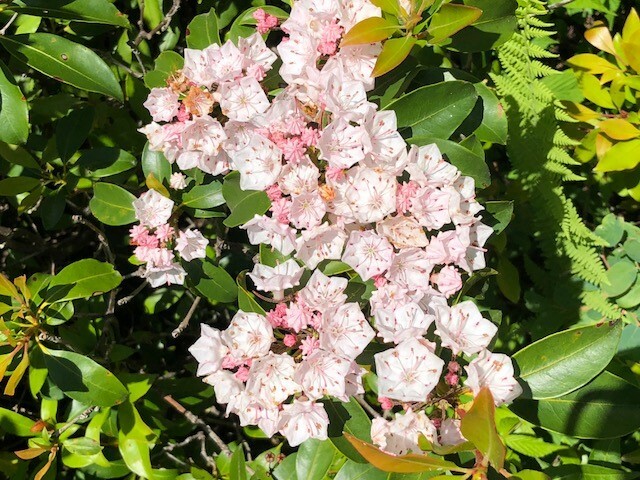 You’ll notice more flowers and the grassy path in full sunshine on a clear day! You’ll see a wooden sign to your left on a side trail, stay on the main path you cant read that sign even if you walked over! he walk proceeds thru heavy bushes and switching back and forth as we descended. 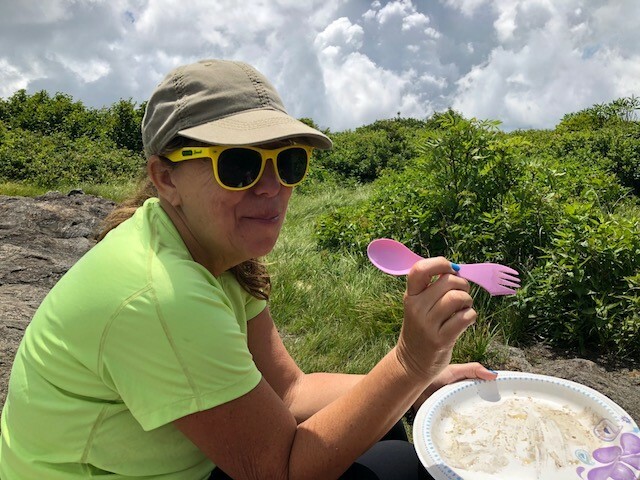 gave directions to passing hikers – all have a terrific time like us! 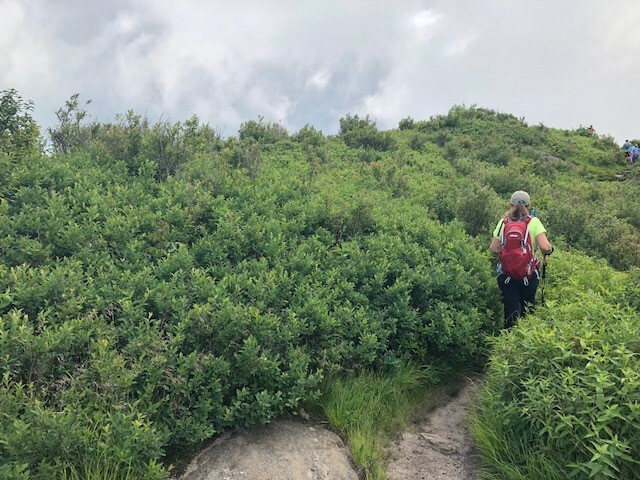 There were a bunch of said trails we considered taking to explore, but saw some dark clouds that convinced us to proceed onward and upward to Tennent Mountain! find some amazing views as you move around several rock outcrops on the summit. 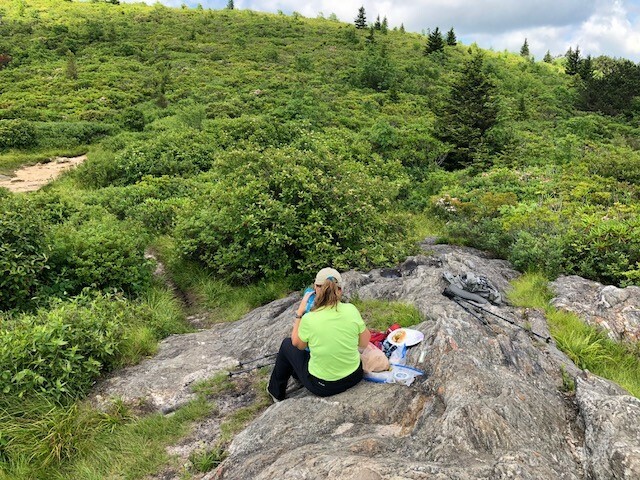 You can see the hilly terrain of Graveyard Fields, waterfalls in the distance and even see three states. 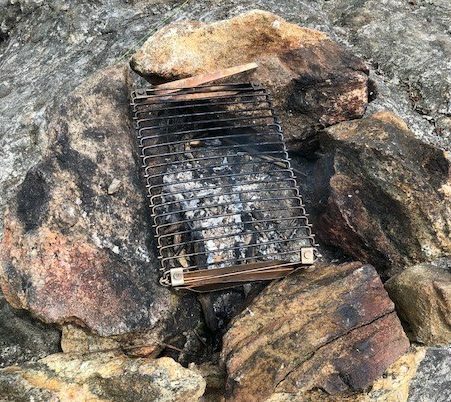 I suppose the “Plaque Thief’s” didn’t make it this far – lucky for us we were able to snap a great picture on the rocks around the brass plaque! 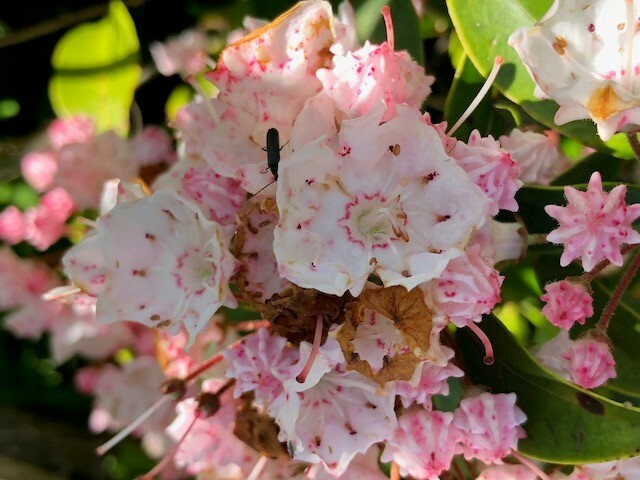 ourselves shaded and felt the cool afternoon breeze blowing – what a great place to be! After a mile or so we could see what looked like a jeep road in the distance. 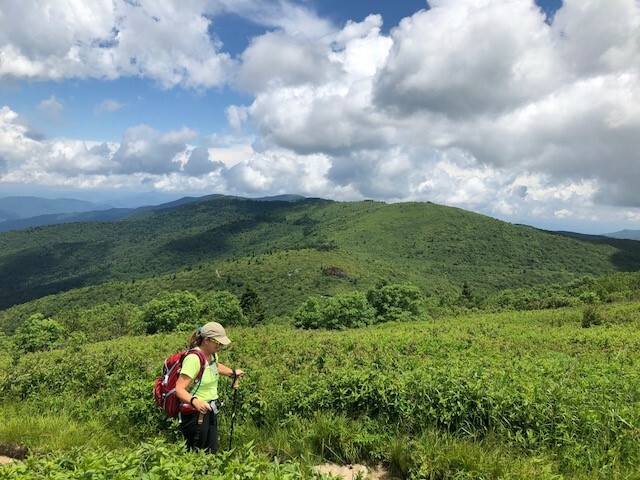 Later we’d find that was a continuation of the Art Loeb trail heading off to Shinning Rock Mountain – I hear it’s a brilliant white, quartz-topped summit. We wont go that way today – next time for sure. 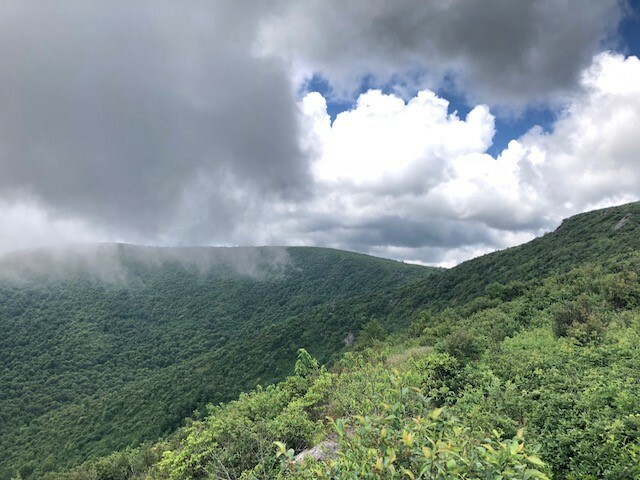 The trail will reach Investor Gap, where looking right is the jeep trail we saw while descending (Art Loeb Trail to Shining Rock Mountain), we took a sharp left southwest on the Investor Gap Trail . Continue to follow the wide, graveled roadbed. 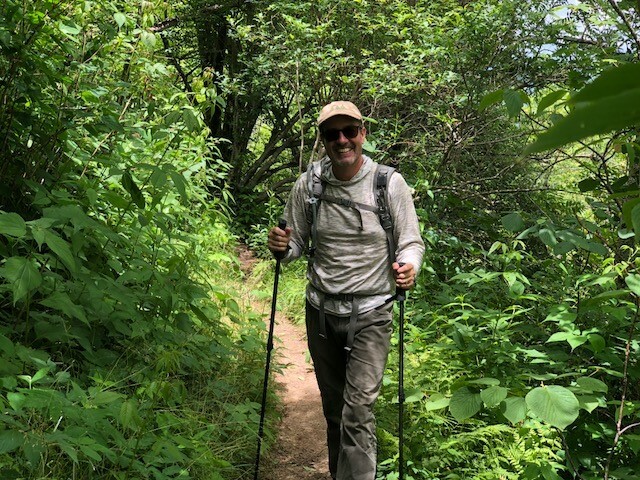 The hike rolls elevation, curving through the hilly landscape eventually passing a small trail-side spring with another PVC pipe hanging out, to fill water bottles – I’d imagine. Keep on trucking over the gravel roadbed and take an obvious left, the hike eventually reaches a gate where you’ll see the parking area and the bathrooms from the opposite side! All an all, it was just over 5 miles total to complete our adventure. 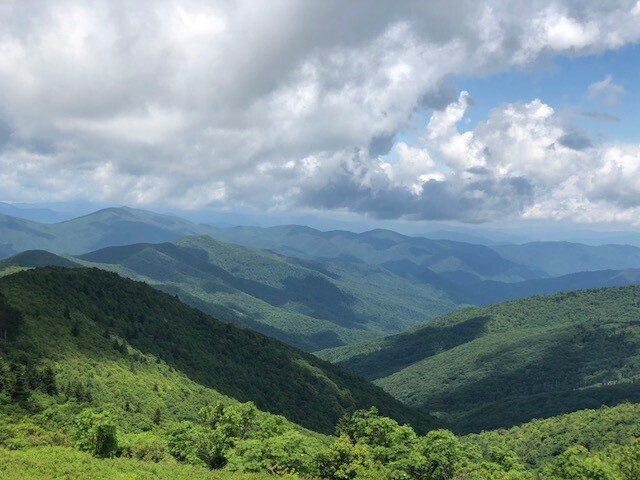 From Sylva/Waynesville take the Blue Ridge Parkway to milepost 420, turn left on Forest Service Road 816 and drive to the end of the road where you can park.